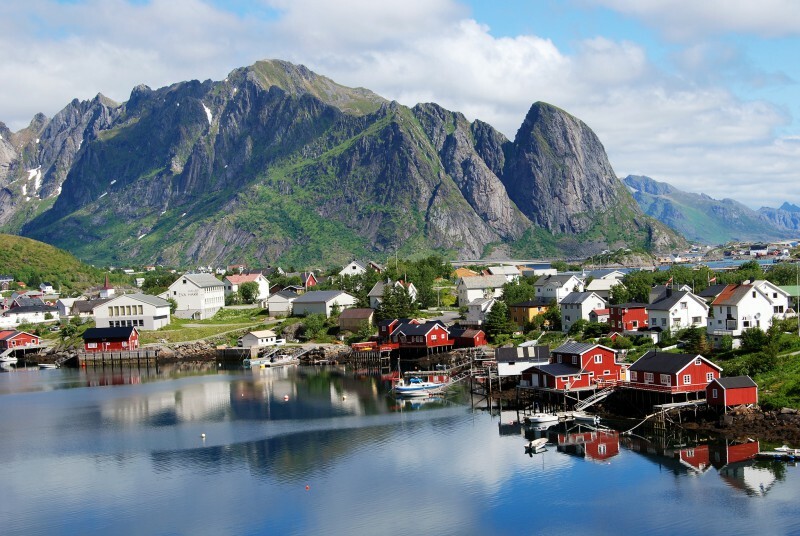 Norway is a beautifully haunting land that is always offering spectacular views along its world-renowned hiking trails and in pristine conservation areas easily accessed by RV rentals. Fjords, lakes and islands have been formed over millions of years by the carving force of enormous glaciers. Today, the beautiful landscape is best enjoyed by getting out there and exploring like the locals do. A Grimstad motorhome rental or campervan hire in Norway will take you to the best spots on the Skagerrak coast and let you explore the surrounding beauty with comfort and convenience. Grimstad lies in the south and sits on a coast made up of glacially formed islands. Originally a fishing town, like most coastal villages in Norway, Grimstad’s surrounding area has a population of little more than 20,000, and in its town center houses several quant attractions worth visiting such as Trinity Church, Henrik Ibsen Museum, and the Grimstad Maritime Museum. Grimstad is a perfect example of a Norwegian coastal town that is best explored by Grimstad motorhome rental. Outside the towns, public transport is rare, so for the best sights to be seen in the area, you should cruise in your Grimstad motorhome rental to one of the many surrounding nature reserves and hiking trails. Norwegians like to hike and you will notice that many Norwegians will also be on the road headed up to one of the many walking routes surrounding their towns. Unique landscapes with panoramic vistas are what the fjords and archipelagos along this expansive coastline will give you at every turn with your RV rental in Grimstad. The tourist office will direct you to one of the wildlife areas such as the Som Forest Conservation Area which is the region’s most distinct glacial deposit, or the Reddalsvann Nature Reserve, a biotope for mute swans and various duck species, situated 7 km north of Grimstad’s town center. The sunniest spot in Norway, averaging 266 hours a month in June and July, Grimstad is a major draw for beach lovers. Beaches in Arendal and Lillesand, thirty minutes north and south, and biking grounds are nearby. Campervan hire or RV rentals will give you a chance to ride on well-marked trails then take a refreshing dip from sandy beaches or rocky shorelines. You might even catch a glimpse of a passing pod of dolphins or whales: The Skagerrak coast is home to more than 2,000 marine species. Your Grimstad motorhome rental will take you from the harbor to the lookout points, so step out and experience the wilderness and wild life knowing you are a short drive away to a new adventure when you take a RV rental, motorhome hire or campervan rental in Grimstad.